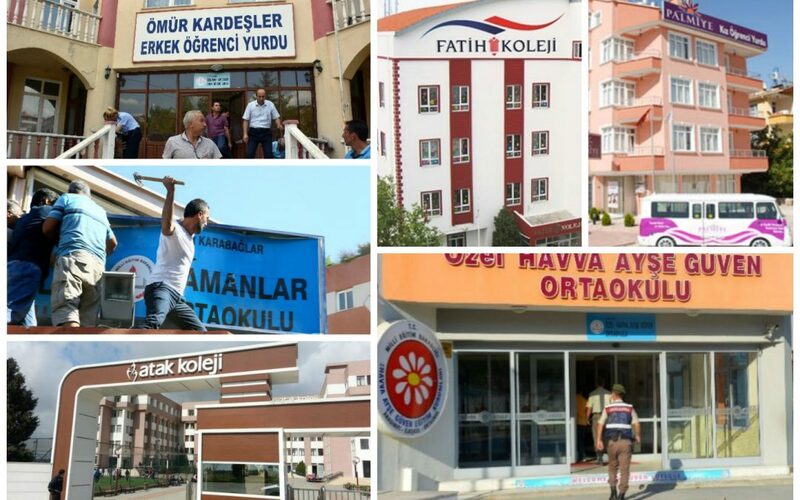 The value of immovable properties including dormitories, real estate and schools that the government has confiscated as part of its clampdown on the Gülen movement totals around TL 15 billion ($4.9 billion), according to Environment and Urban Planning Minister Mehmet Özhaseki. A total of 3,333 properties were taken over by the Finance Ministry and 2,086 others by the Prime Ministry’s Directorate General of Foundations by means of government decrees issued under emergency rule, Özhaseki said. The government seized another 1,176 properties that were not covered by decrees, the minister said, adding that authorities also blocked 155,000 transactions concerning the sale and transfer of real estate. “All those immovable properties are worth around TL 15 billion,” Özhaseki said. Yet, the figures provided by the minister do not align with those of Akın İpek, the CEO of Koza İpek Holding until the conglomerate’s confiscation, who said that 18 of the group’s confiscated companies alone were worth over $10 billion. Government-run Savings Deposit Insurance Fund (TMSF) President Şakir Ercan Gül announced this week that the government has seized a total of 252 companies over their alleged links to the movement. The government’s crackdown against the movement, however, is not limited to the period following the coup attempt since the managements of many institutions affiliated with the movement have already been seized by the TMSF over the course of the past three years. Among the large conglomerates that have recently been confiscated by the TMSF are Koza-İpek Holding, Boydak Holding, Dumankaya Holding, Kaynak Holding and Naksan Holding.